A PASS (personal alert safety system) – also known as DSU (distress signal unit) or ADSU (automatic distress signal unit) – is an electronical device that any isolated worker has to wear in risky situations. 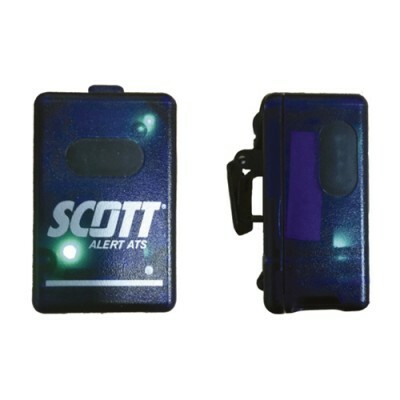 This personal safety system is able to alert if necessary. In France as in many other European countries, clearly defined legal frameworks require that operators who are working alone have to wear personal alert safety systems. This standard specifies that the device will go into pre-alarm mode after 20 seconds of inactivity and full alarm mode at 30 seconds of inactivity. The alarm can also be activated manually. The pre-alarm is required to reach a maximum level between 100 dba and 110 dba in six seconds. The primary alarm must have a minimum level of 95 dba at one meter and be able to maintain the level for at least one hour. This standard specifies a lack of movement for 30 seconds will cause a 10 second pre-alarm audible signal. If no movement occurs during this period then the unit will lock into full alarm. The unit can be manually set to full alarm by pressing a push-button. Several versions are available from standard audiovisual alert unit up to enhanced versions with alarm report on a controller and GPS localization for immediate rescue intervention. A whole range of personal alert safety systems (PASS). 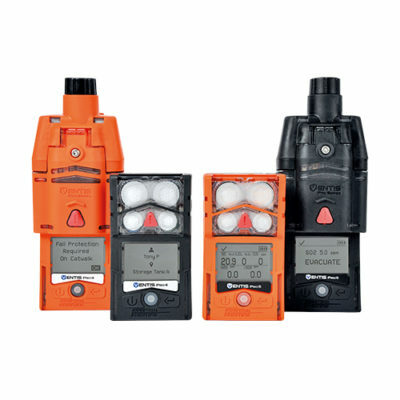 Standard alert units and GPS equipped versions, gas detectors with optional alert safety system. 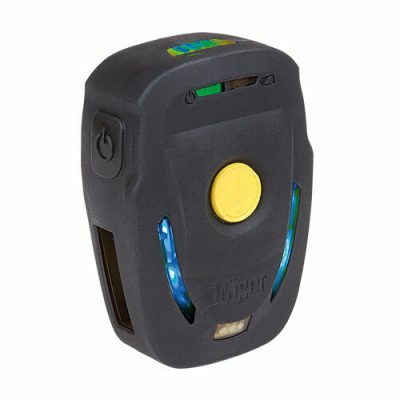 Personal alert safety system, or man down signal, designed to notify others in case of distress, the Bodyguard 1000 is free of periodic maintenance and features straightforward push button functionality. The OXYBABY O2/CO2 gas analyzer is a battery-powered portable device especially designed to monitor gases in modified atmosphere packaging (MAP). The OXYBABY gas analyzer is a cost effective alternative to tabletop analyzers for example in line with a HACCP system. As this analyzer requires only a very small quantity of gas (less than 10 ml per sample), it can check even the smallest food packaging with small headspace. This portable gas detector can swiftly and accurately monitor samples. It features a special function to avoid wrong results: a permanent flow control with automatic alarm in case of needle or filter clogging. This device also allows the administration of up to 25 users and the classification of results for up to 100 product names and 50 packaging lines. The OXYBABY headspace gas analyzer is perfectly suitable for fast and exact sample analysis in atmospheres between 0 and 40°C, directly at the food packaging machine, in stores and laboratories. This ergonomic analyzer can be used wherever results have to be recorded, for example in the food industry or in breweries. According to the device version, the large integrated device data storage can log up to several hundred results and allows long export intervals. Every result can then be downloaded and analyzed on a computer via USB port. Alternatively a pressure indication can be selected. Its large backlit graphic display allows easy readings in a multilingual menu including amongst other languages English, French, German and Spanish. An optional barcode reader – which is available for 6.0 version only – enables easy reading on user and product. A Bluetooth interface – available in option as well – offers user wireless communication for example to a printer. The devices is provided with a charging device, a carrying case, spare needles and filters and a set of 100 rubber seals. In addition to a man down alarm, the ATS alert unit features an alarm that activates in case of prolonged exposure to heat.